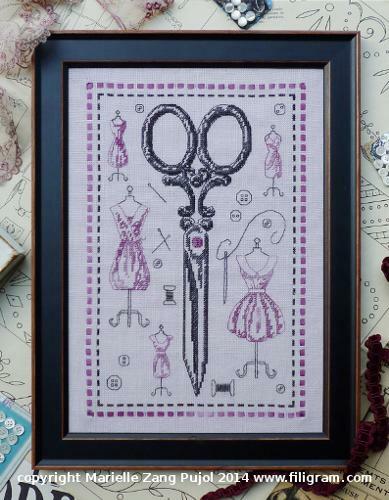 Vintage feel to this detailed sewing scissors with dress forms, pins, thread, etc. Count: 108 x 163. Suggested fabric: 28 or 32 count Lilac Belfast Linen from Zweigart.